Traveling frequently means you’ll have to develop a habit of maximizing space yet still having some useful essentials. With airport security banning this and that, and long layovers in airports draining your wallet, these are items that every gypsy should have with them before hitting the road, air, or water. Tissues – Sneezing in an airport, eating greasy fries, or a runny nose can spell disaster on a plane or in a car. Small packs of tissues are cheap, light and small and stop you from having to resort to some pretty gross booger smuggling. 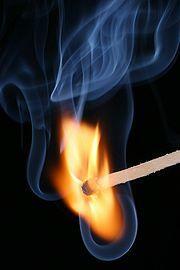 Matches – Until recently, lighters were banned from flights to and from the US. Matches can come in handy if your car breaks down in the woods during the winter, you want to strike up a conversation with a cute smoker, or get rid of annoying string hanging from your clothes. Hand sanitizer – This nifty little liquid makes a great addition to your tissues in case you can’t wash your hands. Safety pin – They are tiny and can be used to clean small crevices, open hard-to-open thing wrapped in plastic, and can be heated with a match to remove ticks. Chewing gum -For those times you don’t have access to a toothbrush or faucet, some mint gum can tide you over. The Ultimate Spork – This all in one fork, spoon, and knife is plastic and should make it past most airport security. Having a spoon handy will save you time between layovers and combining 3 utensils into one saves that much more space. A Laptop lock – Can be used not only for laptops, but to also tie your luggage together (or to yourself) when you have to sleep in an airport due to a canceled flight, or because you need a place to during on a road trip. Padlock – You often find that you need to lock your valuables when on a cruise. Aside from being a security device, a padlock can be used as a handle to pull or gain leverage on heavy items that are hard to get a hold of. Maps – An old school approach, but don’t rely solely on online maps in case technology lets you down. It’s best to save and resize all of the maps you need onto the fewest amount of pages possible. Print them out and you can be on your way! Compass – It constantly amazes me how helpful it can be to know which way is north or east when you have lost your way in a city. High rises, clouds, and night can make using the sun for basic navigation impossible. Pen – For filling out customs forms, writing down impromptu directions, and the time you ship is leaving port. Pens are so important, that I’d recommend bringing at least 2. An old envelope – To jot down crap important information. Old credit card offers are easy to grab on your way out the door. Just make sure to shred them when you’re done. Contact information – It? ?s good to have a contact person, or know an address to tell a cab. Also, once you get to your new destination, make sure you find out and record all emergency numbers (i.e. police, ambulance, fire, etc. ), cause dialing 911 will get you nowhere. Please help me add other items to this list that you bring along with you. I intentionally left out more advanced goodies – but the I’ve already made the argument for laptops, video iPods, and USB drives. I generally carry two more things besides what you’ve mentioned here. A set of strong shoe strings. It comes handy in many situations. 2-3 very thin but strong polythene bags. They don’t occupy any space or weight but are very useful if by any chance you have your wet clothes/socks/shoes or anything which needs to be kept separately. I forgot about string, string is cheap and very useful. I usually just use the thin laptop lock. I also tie my shoes to my backpack without removing the strings. The bags make sense, I’ve been in some stinky bag situations because I couldn’t separate lake-soaked socks. You know what else I should bring? This list itself!